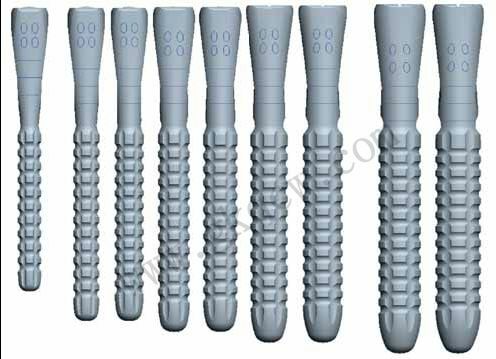 Stryker ReUnion HA Fracture Shoulder(史赛克 ReUnion HA肱骨近端骨折半肩置换系统):it consists of a revolutionary fracture stem design that combines the heritage of Solar products with innovative solutions for shoulder fracture procedures. Step 1:Position the patient in the semi-beach chair upright position. laterally with the deltoid, but may be retracted medially with pectoralis major. 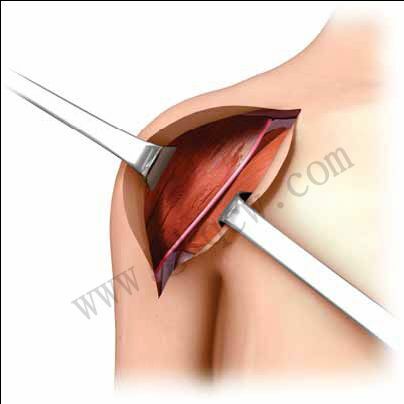 Step 5:The lesser tuberosity is medial to biceps tendon and the greater is superior,lateral, and posterior to biceps.An osteotome can be used to helpmobilize the tuberosities respectively.Palpate the axillary nerve on anterior /inferior aspect of Subscapularis. Step 5: (Continued)Mobilize and secure the tuberosities with sutures (Example: 1mm Cottony Dacron) the suture technique is simple(red), mattress (green) and simple (blue)sutures from superior to inferior. Step 8:Hand ream sequentially to appropriate size. Step 9:Start with the expandable trial that is 2mm smaller than the last reamer used. 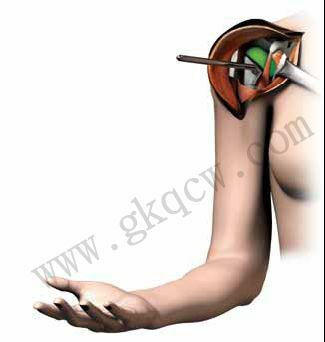 Step 10: (Continued)Place trial humeral head on stem, which most closely matches native humeral head. 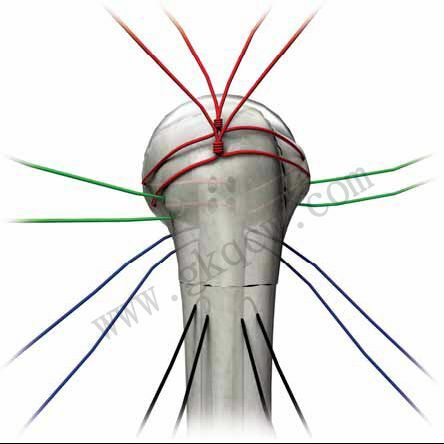 Step 10: (Continued)Mark your height with the 3 laser lines and version with electrocautery on the humeral shaft. 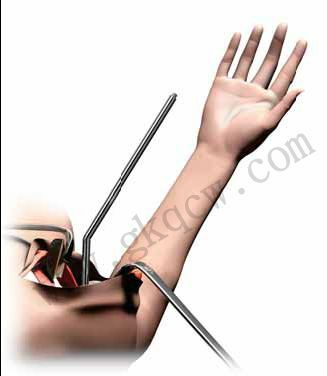 Step 10: (Continued)Tighten the T-Handle (approximately half a turn) to lock the expanded trial into the distal humerus at appropriate height and version. 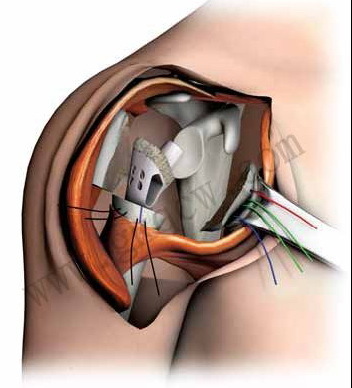 Step 11:To establish reduction:Begin by placing the humeral head trial on the expandable trial.Reduce humeral head into glenoid.Check for 50% translation of humeral head on glenoid. 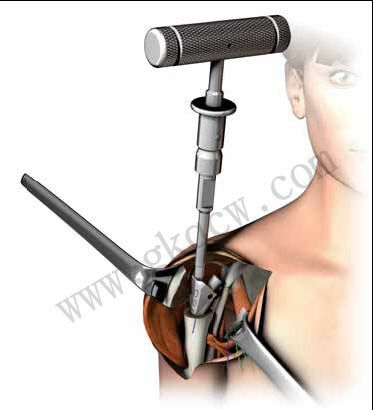 Step 12:To check version, flex the elbow 90°,externally rotate until the prosthesis is in the neutral position. The forearm should be externally rotated approximately 30°. Step 12:When the forearm is parallel to the version rod, the expandable trial is in 30° of retroversion. 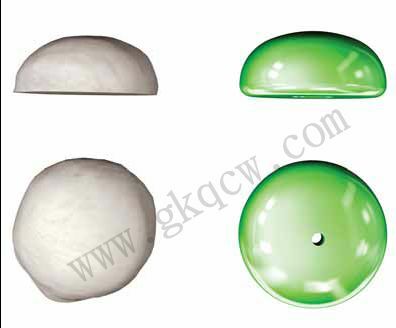 Step 13: Cement Prosthesis:Hold at appropriate height and version until cement has hardened. 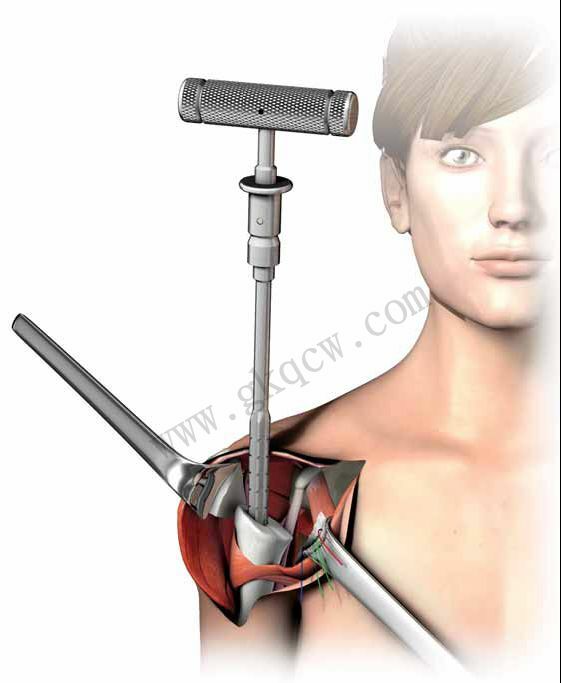 Step 14: Humeral Head-Trial head is replaced on humeral prosthesis. head onto bone graft tray that corresponds with chosen expandable trial. 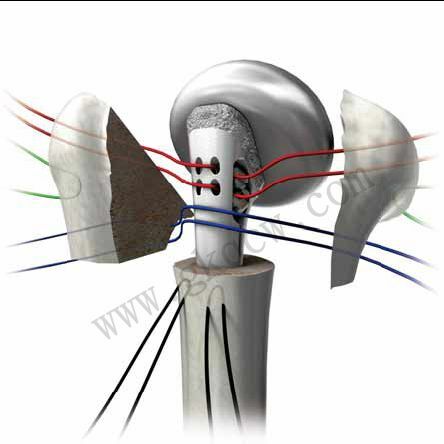 are passed at the bone tendon junction through one another as well (blue). Step 15: Tuberosity Repair/Bone Grafting-Insert the previously molded bone graft into the implant fenestration. 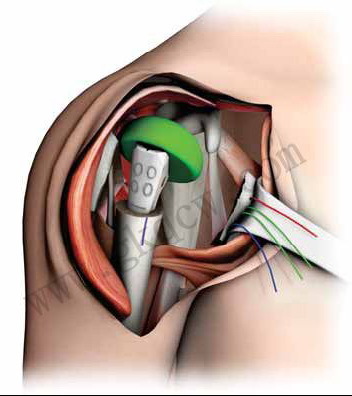 tied first, then mattress sutures (green)are tied for tuberosity-to-tuberosity repair. 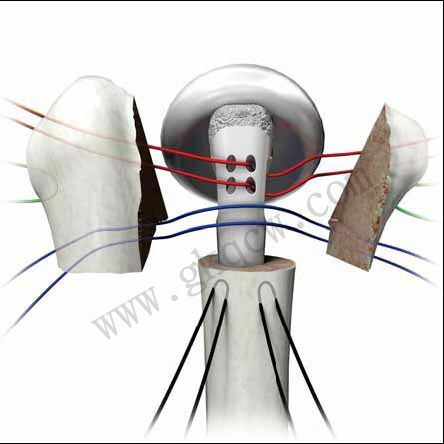 Step 15: (Continued)Tuberosity sutures are then tied to shaft sutures for tuberosity to shaft repair. Depth Markers---The above graphic shows the difference in height for the depth markers from size to size. Graft window and suture holes are positioned for technique preference to help improve tuberosity attachment. PureFix HA features more than 13 years of clinical success and 98.7 percent survivorship for optional mechanical interface of tuberosities.1 Long stem options are available for both difficult fractures and revision cases. 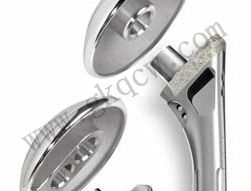 A low profile design assists in tuberosity reduction for fractures. The Solar dual radius heads have a constant articulating spherical radius throughout the entire size range, allowing all humeral heads to be compatible with all Solar glenoid components. 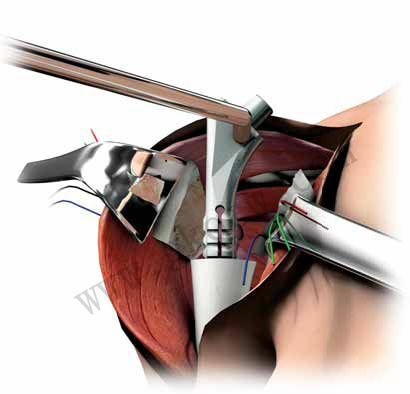 In cases where a surgeon may decide to convert a hemiarthroplasty to a total arthoplasty in the future, any glenoid size may be used with the existing implanted humeral head. Determining the correct height and version is considered the most difficult step when treating a shoulder fracture with hemiarthroplasty. In most cases, there is no proximal bone remaining. 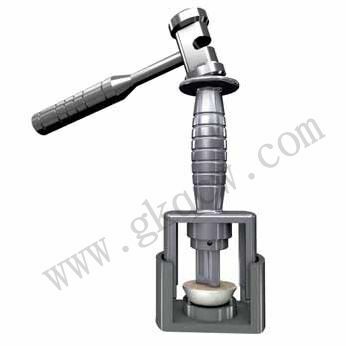 Holding the trial in place while reducing the joint is a challenge and may require extramedullary instrumentation or jigs to support the trial. The expandable stem trial eliminates the need for extramedullary positioning jigs. Proper height is obtained by matching landmarks from trial to implant. A modular version rod can be used to aid in positioning the expandable trial. The expandable trial locks into the canal with a simple half turn of a T-handle and functions by tightening a bolt within the trial, using a T-handle connected to a 5mm hex driver.